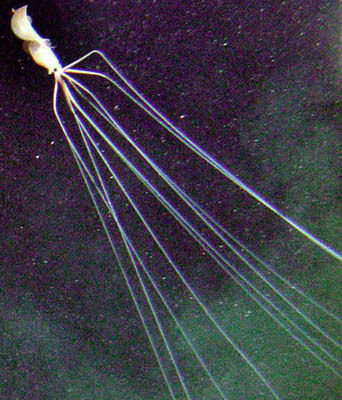 Squid with ten foot tentacles seen at 1900 m on dive 3633 at Atwater Valley site. courtesy: Andy Shepard. Part of the inspiration for the 2011 Hugo Award trophy base.